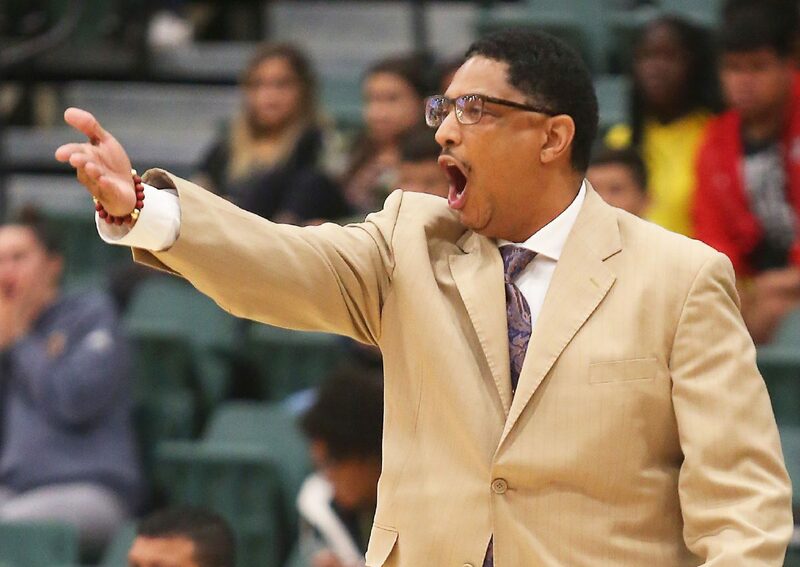 University of Texas Rio Grande Valley head basketball coach Lew Hill gives direction against Prairie View A&M in a game at the UTRGV Fieldhouse on Wednesday, Nov.14, 2018, in Edinburg. EDINBURG — UTRGV and Prairie View A&M shared one commonality entering Wednesday: both teams were playing its third game in three different arenas over a five-day span. UTRGV stumbled out of the gate, trailing the Panthers by as many as six points in the early going before regaining its footing. Thanks in part to suffocating defense, UTRGV took its first lead amid a 14-3 run midway through the first half. 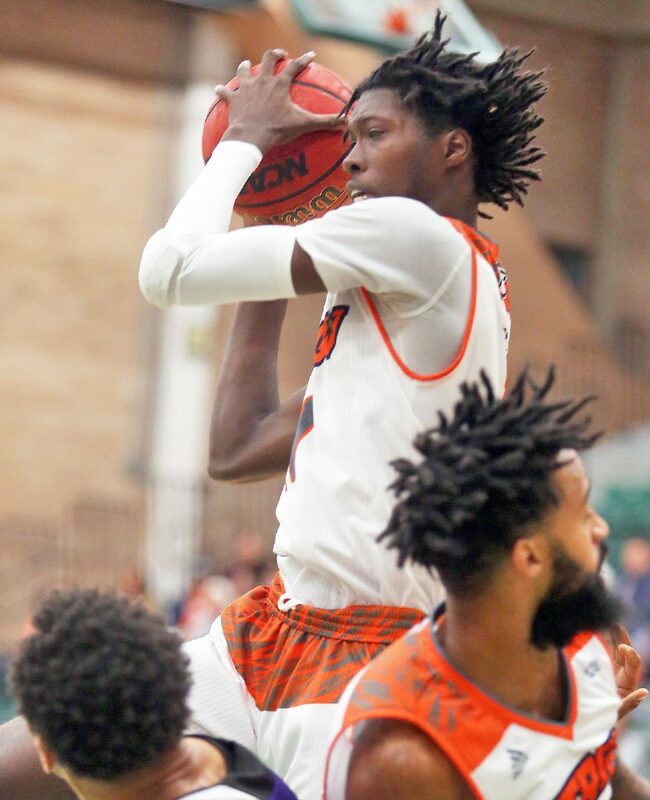 The Vaqueros cruised to a 70-57 win Wednesday at the UTRGV Fieldhouse. PVAMU (1-2) won its season opener at Santa Clara last Friday and lost to Baylor on Monday in Waco. Senior guard Gary Blackston dropped 48 points in PVAMU’s first two games, including a game-high 30 in the Panthers’ season-opening win against Santa Clara. 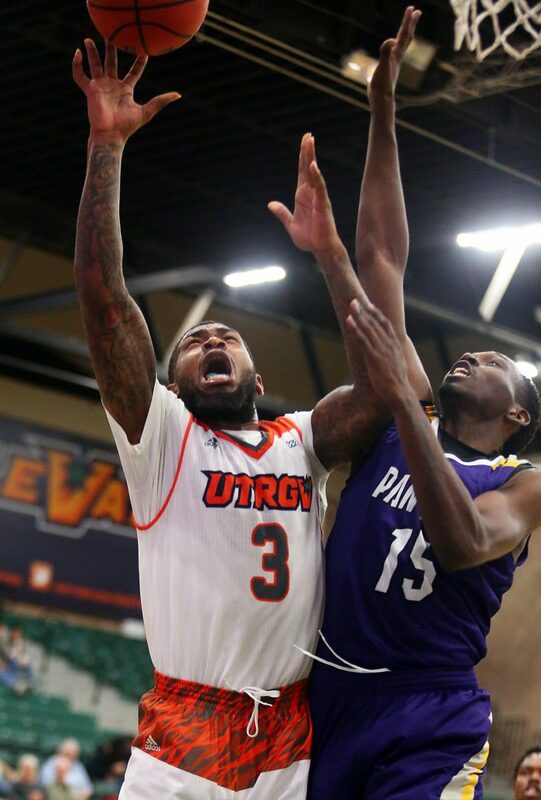 University of Texas Rio Grande Valley forward Terry Winn III (3) drives to the basket against Prairie View A&M guard Gerard Andrus (15) in a game at the UTRGV Fieldhouse on Wednesday, Nov.14, 2018, in Edinburg. University of Texas Rio Grande Valley guard Jordan Jackson (22) drives to the basket against Prairie View A&M in a game at the UTRGV Fieldhouse on Wednesday, Nov.14, 2018, in Edinburg. University of Texas Rio Grande Valley forward Lesley Varner II (11) rebounds the ball against Prairie View A&M in a game at the UTRGV Fieldhouse on Wednesday, Nov.14, 2018, in Edinburg. University of Texas Rio Grande Valley guard Jordan Jackson (22) drive to the basket against Prairie View A&M in a game at the UTRGV Fieldhouse on Wednesday, Nov.14, 2018, in Edinburg. 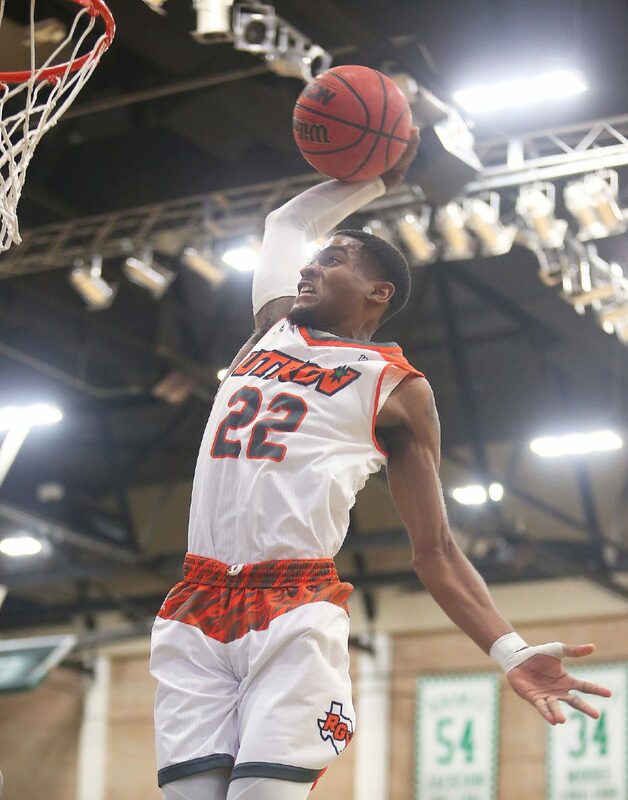 University of Texas Rio Grande Valley Jordan Jackson (22) prepares to slam dunk the ball against Prairie View A&M in a game at the UTRGV Fieldhouse on Wednesday, Nov.14, 2018, in Edinburg. 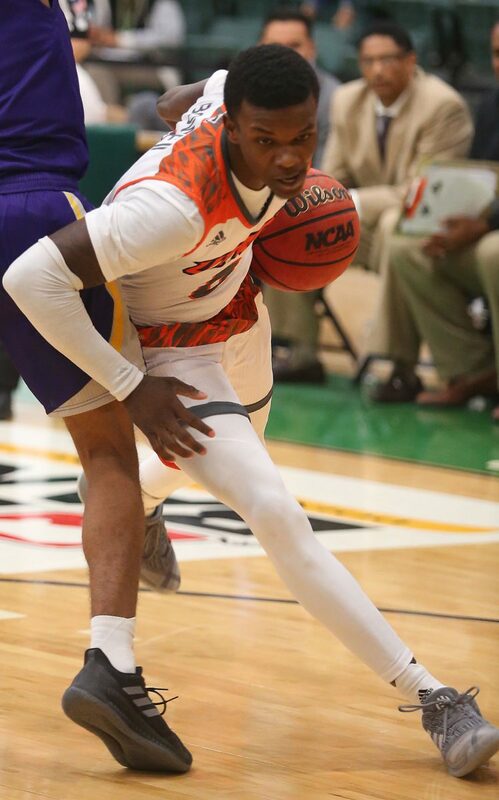 University of Texas Rio Grande Valley guard Greg Bowie II (0) drives through the Prairie View A&M defense in a game at the UTRGV Fieldhouse on Wednesday, Nov.14, 2018, in Edinburg. 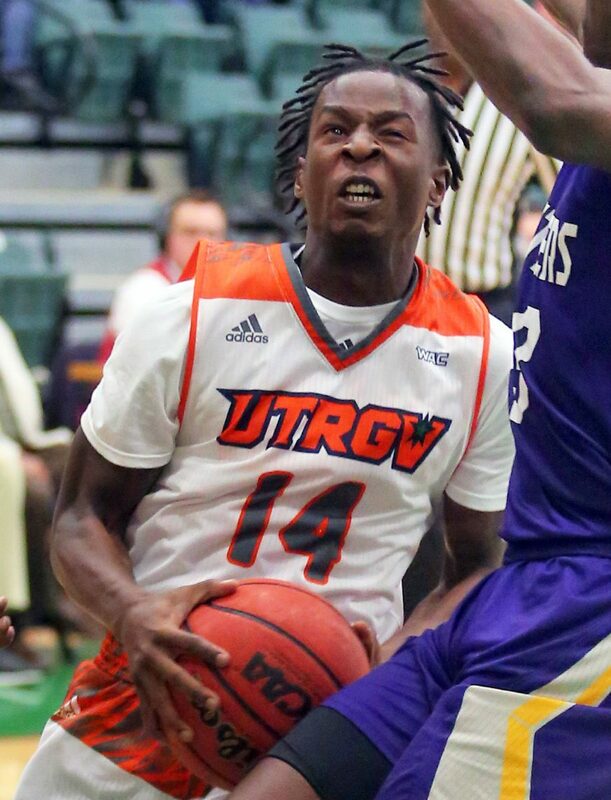 University of Texas Rio Grande Valley guard Javon Levi (14) drives to the basket against Prairie View A&M in a game at the UTRGV Fieldhouse on Wednesday, Nov.14, 2018, in Edinburg. 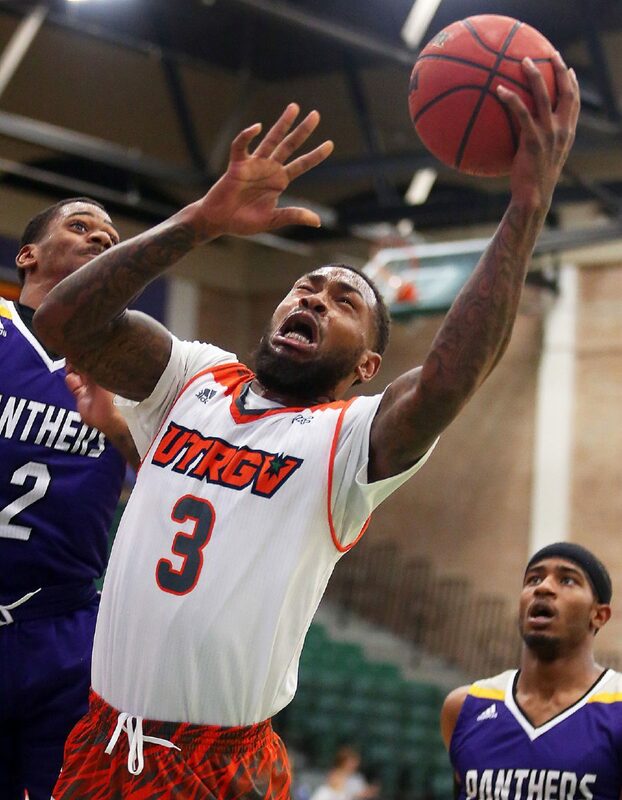 University of Texas Rio Grande Valley forward Terry Winn III (3) drives to the basket against Prairie View A&M in a game at the UTRGV Fieldhouse on Wednesday, Nov.14, 2018, in Edinburg. University of Texas Rio Grande Valley forward Lesley Varner II (11) attempts a basket against Prairie View A&M guard Tyler Singleton (10) in a game at the UTRGV Fieldhouse on Wednesday, Nov.14, 2018, in Edinburg. Blackston couldn’t get into a flow offensively, missing four of his five shots and committing three early fouls. Blackston finished with nine points on 4-for-12 shooting. 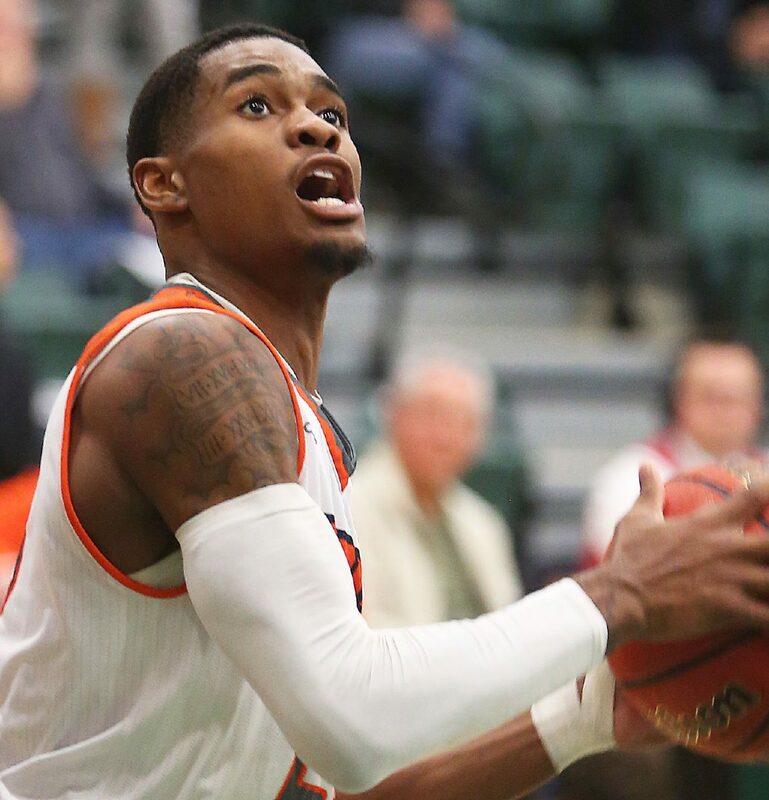 UTRGV forward Lesley Varner II recorded his second career double-double with 15 points and 10 rebounds to go along with a team-high three blocks, two assists and two steals. Guard Greg Bowie II scored 14 points with eight of his points coming in the second half. 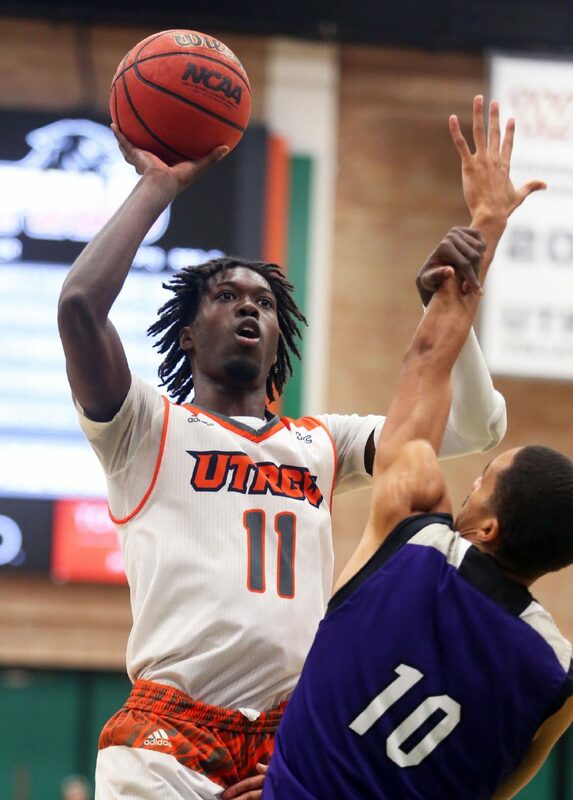 The victory gives UTRGV a 3-1 record, which equals the program’s best start since the 2014-15 season when the Vaqueros started the season at 3-0. 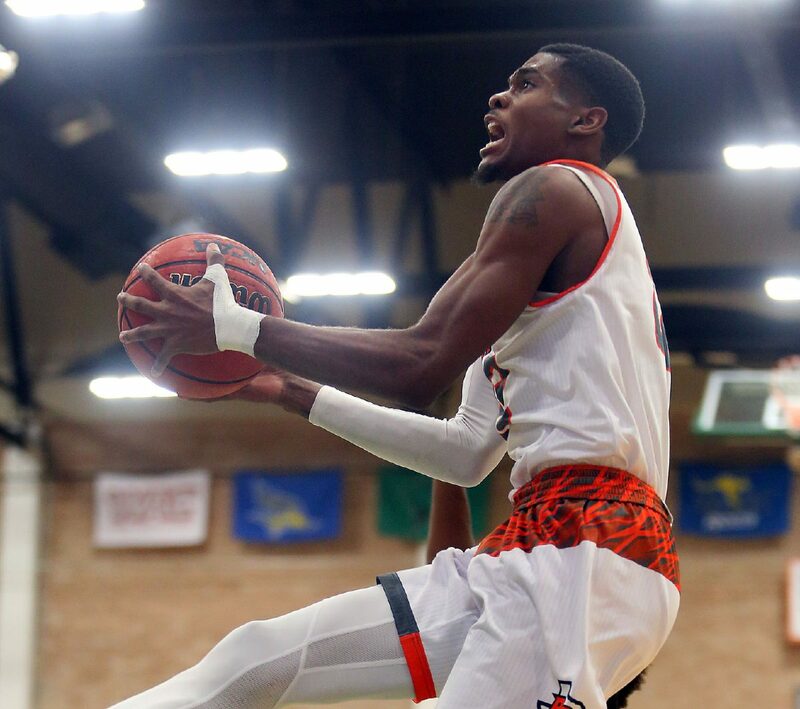 UTRGV announced its first signing of the 2019-20 signing class when 6-foot-6 guard/forward Connor Raines put pen to paper on his national letter of intent on Wednesday morning. Raines plays his high school ball at Notre Dame High School in West Haven, Conn.
Hill said Raines’ game and abilities reminded him of Varner II. Raines spent most of his childhood in the Northeast, but Hill said Raines is a Dallas native.